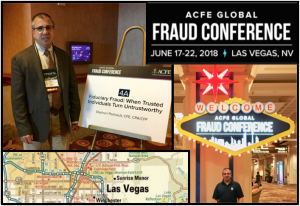 Steve traveled to Las Vegas to speak at the ACFE’s Global Fraud Conference in June, 2018. The Association of Certified Fraud Examiners (ACFE) is the world’s largest anti-fraud organization, providing anti-fraud training and education to nearly 85,000 members worldwide. Steve’s session, Fiduciary Fraud: When Trusted Individuals Turn Untrustworthy, addressed topics including when a fiduciary duty exists, actions and inactions that can lead to a breach of fiduciary duty, and how breaches can lead to fraud, losses, and damages. On April 21, 2016, Zachary Paquin, a Junior accounting major at UConn, was presented with Forensic Accounting Services’s annual forensic accounting scholarship. Zachary transferred to UConn from MCC this year and is looking forward to becoming more involved in student activities. On March 31 Steve presented the March 2016 Webinar for the ACFE. 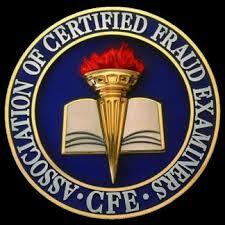 The Association of Certified Fraud Examiners chooses one speaker each month to present on a fraud related topic. 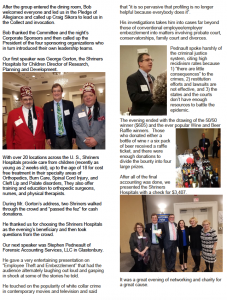 Steve’s presentation, titled “Managing Client Emotions: The Softer Side of Fraud Examinations,” discussed the various emotions fraud examiners can encounter throughout an engagement, and how they are best handled. Steve will also be presenting this topic at the 27th Annual Global Fraud Conference in June in Las Vegas. Congratulations to Rhiannon Crawford, Staff Forensic Accountant at Forensic Accounting Services, for her recent scholarship. In January 2016, Rhiannon was awarded the CT Association of Certified Fraud Examiner’s (ACFE) annual scholarship, which includes the CFE exam prep course and the CFE exam fees. She plans to begin studying right away. Congratulations, Rhiannon!